This post is part one of a three-part series. Recent research by Vantage Point and the Sales Management Association indicates that sales coaching is perceived by sales leaders to be the most important competency for sales manager training. And we agree! We believe strongly enough in this notion that we will devote a series of three blogs to discuss the issue. First, we’ll look at why sales coaching fails to occur and then define what good coaching looks like. We’ll also share our research on how high-performing managers get 30% more of their sellers to quota. In our global study of over 1,000 sales managers, we found that 75% of sales managers had fewer than 49 percent of their salespeople on target. That’s a shattering statistic. The opportunity cost compared to their top-performing peers — approximately $3.5 million per manager — is hard to comprehend. In fact, the cost of a single bad sales manager is so outlandish that it’s no surprise that sales leaders turn to training to elevate their skills. And sales coaching is training priority number one. Alas, though it is known to be vital to successful sales management, sales coaching is little understood. With a plethora of different models, methodologies, and training programs in the marketplace, it’s difficult to know which type of coach will ring the revenue bell. Perhaps that’s why evidence continues to mount that despite all this training effort, sales quota achievement continues to decline rather than improve. The data provided a surprising conclusion: Although most managers could be considered to be well trained (having taken as many as four or five coaching trainings), they were not coaching their teams sufficiently. How could that be? There seemed to be some clear-cut reasons for the lack of sales coaching. Here are the three most important ones. Sales managers are answerable to just about every department in their companies including leadership (forecasting and reporting), sales operations (CRM usage), sales enablement and human resources (sales rep assessments and development plans), and marketing (input for plans and campaigns). Ohio University researcher Dr. Adam Rapp estimates that managers spend about 32% of their time managing their sales teams and 68% on all these other demands. And we haven’t yet mentioned the needs of the sales team or customers. Managers often receive generic coaching training or leadership training that is well-meaning but irrelevant, and therefore is scarcely ever applied. If training neither relates to the realities of a sales manager’s day-to-day life nor equip sales managers to help their sellers improve… Guess what? It will fail on both fronts. Money down the drain. Sales managers frequently receive training on specific sales methodologies, such as SPIN Selling, Strategic Selling, or the Challenger Sale. In fact, this is often a top priority. Unfortunately, our research shows that training in sales methodologies yields a meager 3.9% impact on performance. However, training on coaching methodologies has more than twice the impact on performance, at 9.2%. Think about that before you sign up for the latest and greatest version of sales methodology training. Sales managers these days live in a form of Dante’s Inferno as they juggle the incessant demands on their limited time and endure well-meaning but ineffectual sales manager training. It should be no surprise that many fail to coach as a result. In the next blog of this series, we’ll show you how to change some of these factors and help your managers boost their reps to quota. 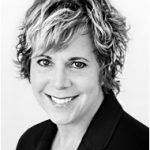 Michelle Vazzana is the CEO and a founding partner at Vantage Point Performance, a leading global sales management training and development firm. She is co-author of Cracking the Sales Management Code: The Secrets to Measuring and Managing Sales Performance. Vazzana is also author of Crushing Quota: Proven Sales Coaching Tactics for Breakthrough Performance, due out in October 2018. Vazzana is a prolific researcher and sought-after speaker on the topic of sales management and leadership, having conducted the most extensive research to date on the topic of sales coaching practices. She has more than 32 years of successful sales and management experience.